Sri Lanka’s diversity of topography and climate results in the island being the perfect year-round location for activity and adventure. 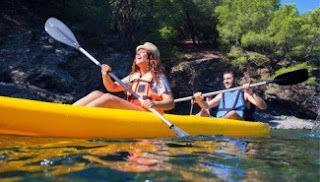 Travellers and Adventure Lovers can involve themselves in a number of thrilling and exciting activities such as wind surfing, diving and snorkeling, rafting and canoeing. 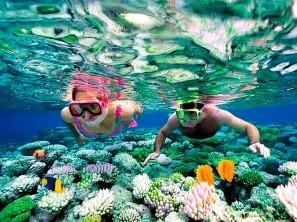 A wide coral reef largely surrounds Sri Lanka’s coastline making it ideal for diving and snorkeling. An underwater journey into the aquamarine waters of the Indian Ocean rewards you with glimpse of a totally different world, full of astounding colour and life. Home to a magical variety of tropical fish and coral reefs, the calm ocean waters also lay claim to some historic wrecks that offer unusual exploration opportunities. 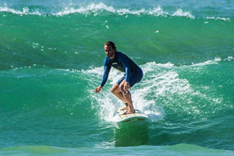 Especially Unawatuna located on the south coast, Tangalla and Hikkaduwa on the west coast and Nilaveli on the east coast of Sri Lanka are ideal spots for this adventure sport. From November to April in the west coast is an ideal time for scuba diving and snorkeling whereas in the east coast, the best time is April to September. There is no better or more exhilarating way to discover Sri Lanka’s spectacular scenery than white water rafting down a majestic river. 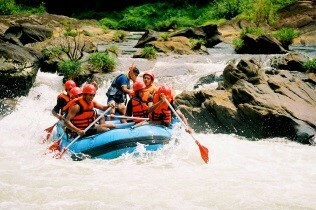 Kelani Ganga, Kalu Ganga and Kelani River in Sri Lanka are ideal spots for rafting and canoeing. This water sport is a very popular sport in this country. With 103 rivers and a wealth of lagoons, reservoirs, swamps and ancient canals, opportunities to explore the island’s aquatic treasures by canoe are endless. From leisurely trips of a few hours to more breathtaking journeys of a few days, canoeing opportunities are available for every skill level. The Kalu Ganga, which flows from the hill country to the west coast, offers one of the most enthralling journeys. The scenery changes spectacularly from upland tea, jungle and rubber plantations to serene palms, plains and paddy before finally reaching the famous Gangatilaka Vihara (temple) in Kalutara. The gentle swell of the Indian Ocean waves offer many opportunities for surfing. Arugam bay on the east coast is the island’s top surfing location. For its spectacular scenery and challenging breaks it’s well worth the long journey. The south coast has many secluded spots sited fairly close together allowing you to base yourself in one place and be able to try them all. Other top spots for surfing along the coast include Mirissa, Matara, and Pottuvil Point. The best waves are generally around October to May. Other popular sports in Sri Lanka are soccer, cricket, racing, and cricket is one of the favorite and mostly played game in Sri Lanka. Apart from these sports golf also has a major impact on Sri Lankans. Sri Lanka has 3 of the finest 18-hole golf courses in Asia, one of which was designed by the renowned golf architect Donald Steel. Well-kept greens, charming caddies, immaculate club-houses and spectacular views of winding hills and large reservoirs characterize Sri Lankan golf courses, each of which is enhanced by an abundance of tropical birds and wildlife. The Royal Colombo Golf Club, the historic hill country golf course at Nuwara Eliya and the Victoria Golf Course near Kandy offer varying challenges since their locations distinctive terrain and boast unique climatic conditions.